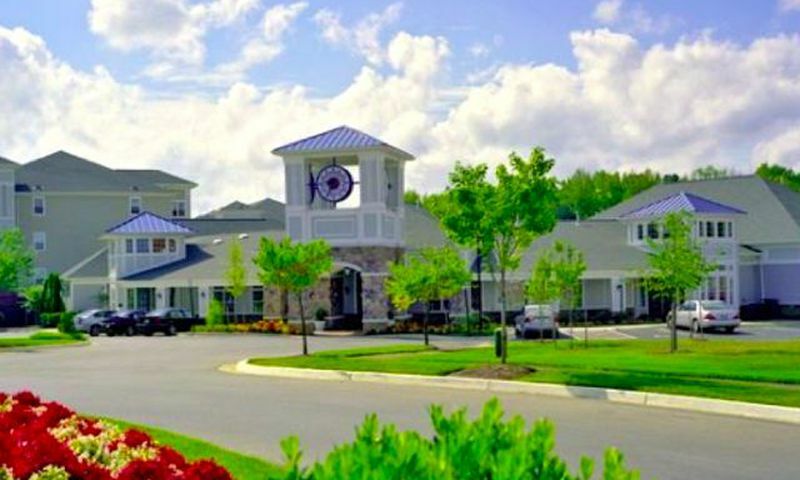 Cameron Grove is a 55+ community in beautiful Upper Marlboro, Maryland. This community offers a great clubhouse with resort-style amenities. Homes in the community were designed for active adults with functional floor plans and low-maintenance exteriors. Residents of Cameron Grove enjoy living in an area that offers a myriad of attractions. Cameron Grove offers active adults well-appointed resort-style amenities. The Cameron Grove Resort Center is a 20,000 square-foot clubhouse that is the central hub of social and physical recreation. Residents of the community enjoy each others' company while they play billiards, cards or games. They can watch a classic film in the movie theater or hang out with neighbors in the lounge or grab at drink at the bar. Those looking to stay in shape can use the fitness center, attend an aerobics class or swim a few laps at the indoor pool. The arts and crafts room allows residents to be creative and the clubhouse library offers the best in the latest titles. Other indoor amenities include a grand ballroom, private dining room, conference room, business and computer lab, and solarium. Outdoor amenities are sure to please homeowners as well. During the summer months an outdoor pool is available to those who want to escape the summer heat with a swim or soak up some sun on the spacious patio. Homeowners can play a friendly match at one of the two tennis courts, or practice their pitch on the softball field. Other outdoor amenities include a dog park, event pavilion, driving range, walking and biking trails, and scenic ponds. Built by Stavrou Associates between 1999 and 2013, Cameron Grove offers 740 residences. Homebuyers can choose between condominiums, attached cottage homes, and single-family homes on a resale-only basis. Condos in the community are in three-story secured elevator buildings. Each unit has two to three bedrooms, one-and-a-half to two-and-a-half bathrooms and parking available in the building parking lot. The condos are located close to the clubhouse making it easy for residents to access to the community's great amenities. Cottage homes offer great low-maintenance living. These homes offer from 1,696 to 2,163 square feet of living space with two to three bedrooms, two to three bathrooms, and an attached two-car garage. These homes are arranged in duplexes or quads. Most models are single-level homes while others offer second-story lofts. Single-family homes offer luxurious low-maintenance living. These models range from two to three bedrooms, two bathrooms and an attached two-car garage. While most of these homes are single-level ranch homes, some models offer second-story lofts and walkout basements. Private back patios make for a great place to entertain guests. The low-maintenance lifestyle in Cameron Grove allows homeowners to enjoy all that is offered in the community. An annual homeowners' association (HOA) fee covers the general maintenance of the community grounds and all amenities. This fee also covers exterior home care such as lawn maintenance as well as snow and trash removal. This lifestyle gives residents a chance to mingle with neighbors and enjoy everyday they spend in Cameron Grove. Residents can participate in various clubs, activities, and events such as movie nights, aerobics, game nights, holiday parties, tennis, golf, softball, and crafts. Located in Upper Marlboro, Maryland, Cameron Grove is situated close to numerous grocery stores, shopping malls, and historical sites. This community boasts a peaceful setting close to a bustling urban environment with Washington D.C. less than 30 miles west. For residents who want to escape during the summer months, numerous beaches can be found in the Chesapeake Bay area just 20 miles east. With such close proximity to both I-495 and I-301, travel to other parts of Maryland is a breeze. Cameron Grove provides great amenities and an active lifestyle for 55+ homebuyers in Prince George's County, MD. Cameron Grove Resort Center - 20,000 Sq. Ft. There are plenty of activities available in Cameron Grove. Here is a sample of some of the clubs, activities and classes offered here. Condos in the community are in three-story secured elevator buildings. Each unit has two to three bedrooms, one-and-a-half to two-and-a-half bathrooms and parking available in the building parking lot. The condos are located close to the clubhouse making for easy access to the community's great amenities. Please Note: Floor plans are not available at this time. Cameron Grove is an exceptional community. What makes it so special are the people here. We're one big happy family! Since moving here my wife and I have made lots of new friends and have been surprised at how welcoming everyone is. When you just move in to a new neighborhood it feels great to have your neighbors come by to welcome you and drop off cookies and fruit baskets, or lend a hand with the boxes. The quality here is outstanding. Our house is perfect and the clubhouse is like having a resort in your backyard, a free one at that, one that someone else maintains and you just go and enjoy it. I wish we could have moved here sooner. 55places.com is not affiliated with the developer(s) or homeowners association of Cameron Grove. The information you submit is distributed to a 55places.com Partner Agent, who is a licensed real estate agent. The information regarding Cameron Grove has not been verified or approved by the developer or homeowners association. Please verify all information prior to purchasing. 55places.com is not responsible for any errors regarding the information displayed on this website.